The iPad has created a lot of buzz on the Internet in the past couple of weeks (actually since last year when we got the hint that it was in the works). Tablets have always had their trouble of gathering mainstream following. The iPad is expected to change that. Apple has designed the device to be more than just a one trick pony. It can work for artists, gamers, and everybody in between. More importantly, the device has a unique opportunity to do what iPhone took a while to do, make an impact in the business segment of the mobile handheld market. Applications such as Things for iPad demonstrate why the iPad will have its fans among professionals. Things for iPad targets those individuals who want to keep track of their notes, projects, and to-do lists. It enables its users to classify their tasks under different categories to divide and conquer them. Tasks can be scheduled to be finished by a certain date or have an open-ended due date. What’s impressive about Things for iPad is its versatility and ease-of use. So you don’t have to jump through the hoops to manage your tasks and notes when using Things. When you are shopping around for a to-do application for any platform, you want to make sure that you pick up an app that does not leave you confused on a daily basis. You also want to be able to trust your app with your tasks and notes and have a way to keep track of tasks that you complete over time. 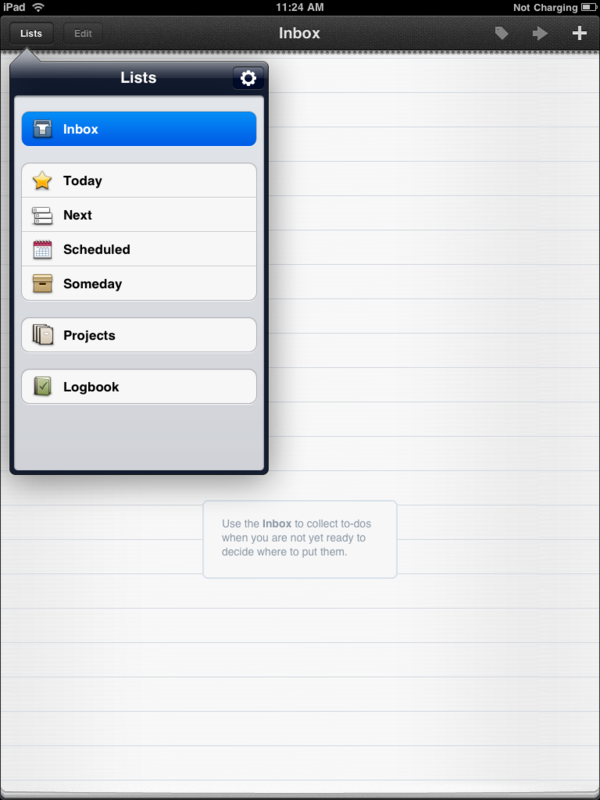 Things for iPad logs your completed tasks, so you’ll always know what you did when. The fact that you can sync your app with your desktop computer (you need the software) can be quite handy as well. 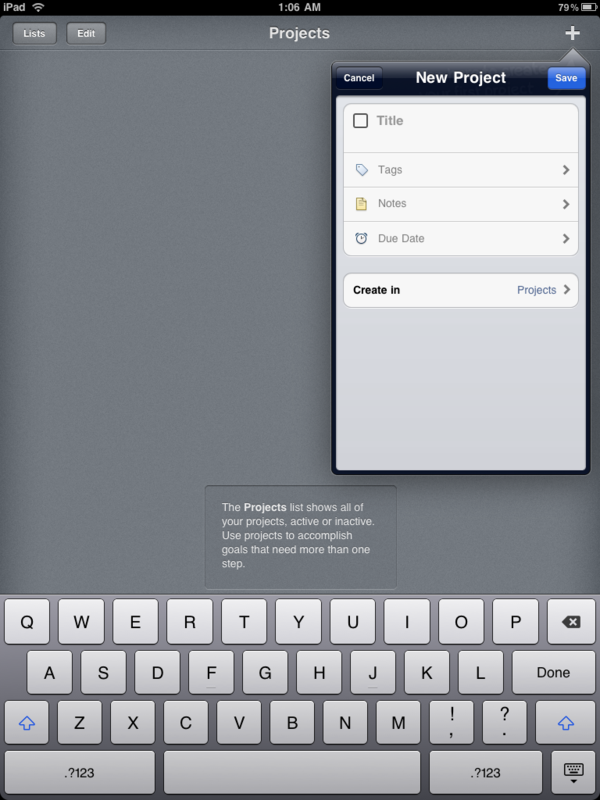 Things for iPad may not be the next Microsoft Project, and it does not intend to be. It’s a very clean-looking, easy-to-use task and to-do list manager for those who want to keep their lives organized and become more productive on a daily basis. It will surely not be the only application in this category. The more apps of this type the iPad gets, the more of a hit it will be with business professionals. What’s your favorite business app for iPad?